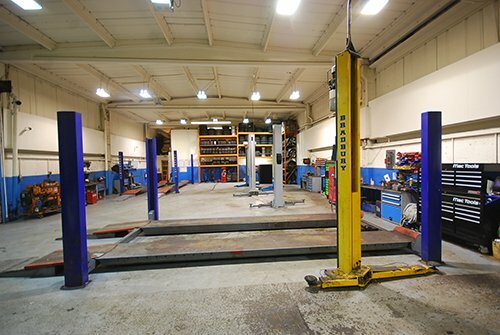 Calder Campers are only too pleased to maintain any campervan, MPV or vehicle in our ten bay workshop by our seven technicians with many years of experience between them. We can carry out all work from a service to a full engine rebuild, all at competitive prices and of course you can have a free courtesy vehicle whilst we have yours. 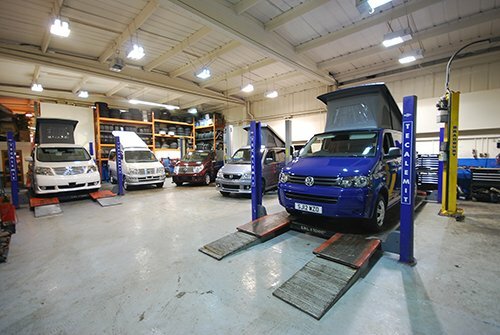 Our fully equipped workshop can prepare your camper for its annual MOT test in an efficient manner, also supplying any parts required and of course test it, we also supply free of charge a courtesy car for the duration of the test. Our service is second to none as you would expect from Scotland's largest, longest established campervan company, give us a try you won't be disappointed.